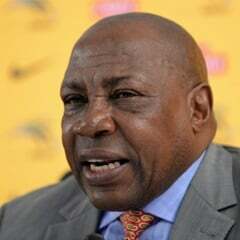 Cape Town – Shakes Mashaba is hoping that the Bafana Bafana squad he put together will be able to bring results. “Our main task is to build a new team, a team that will bring results,” said Mashaba, as quoted by KickOff. Bafana Bafana are set to play two international friendly games. On March 25 South Africa will play Swaziland (kick-off is at 19:00) before hosting Nigeria at the Mbombela Stadium on Sunday, March 29 (kick-off is at 15:00). Mashaba expect Super Eagles to spit fire following the results during the AFCON qualification rounds at Cape Town Stadium and in Nigeria.